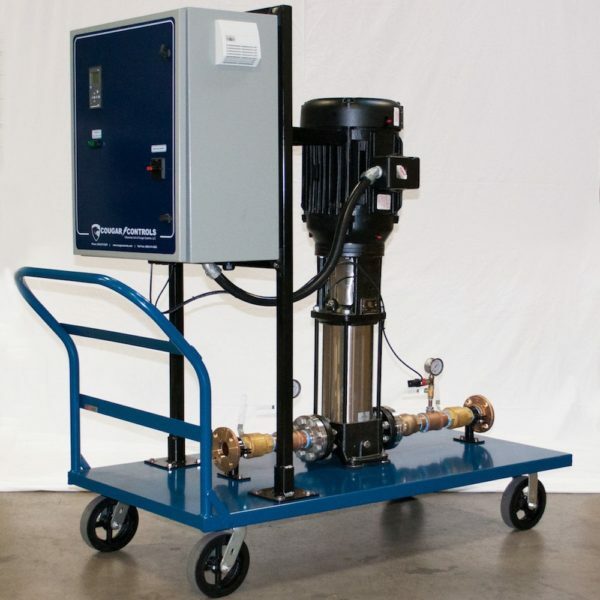 Our Domestic Booster Rental skids are designed to deliver Potable Water for high rise commercial buildings (Office Buildings, Hospitals, Hotels, etc). 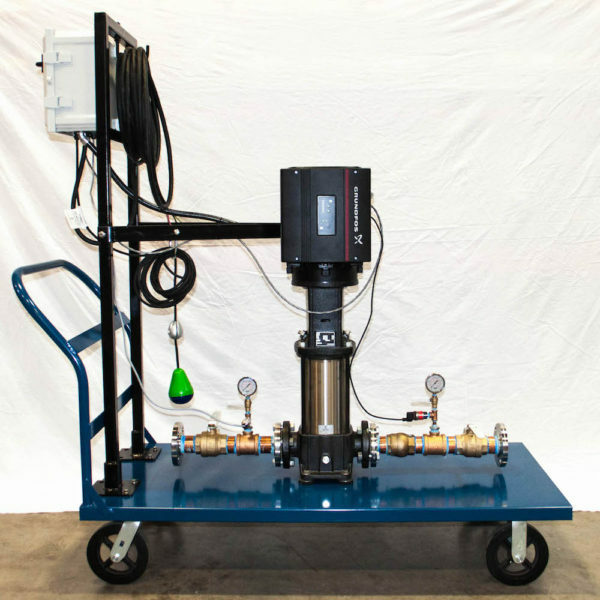 They are ideal for disaster recovery or emergency situations such as a pump package failure, but can also be used for planned outages such as a pump package upgrade. 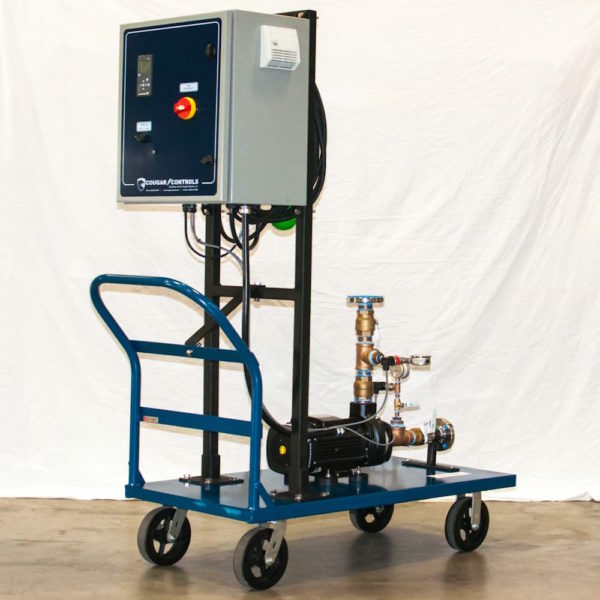 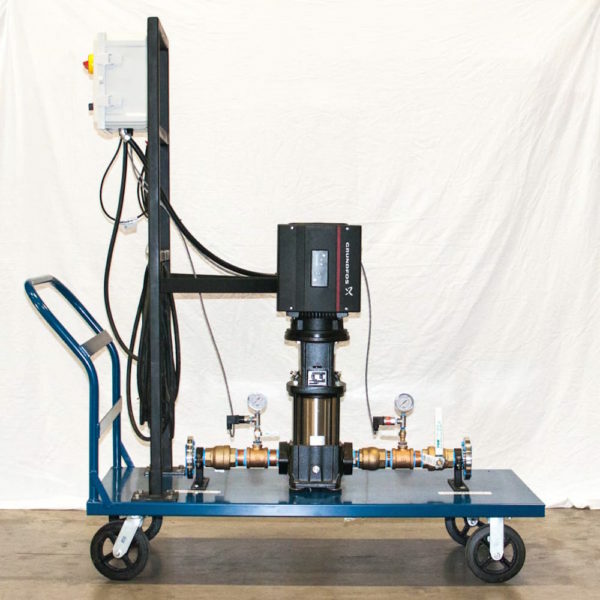 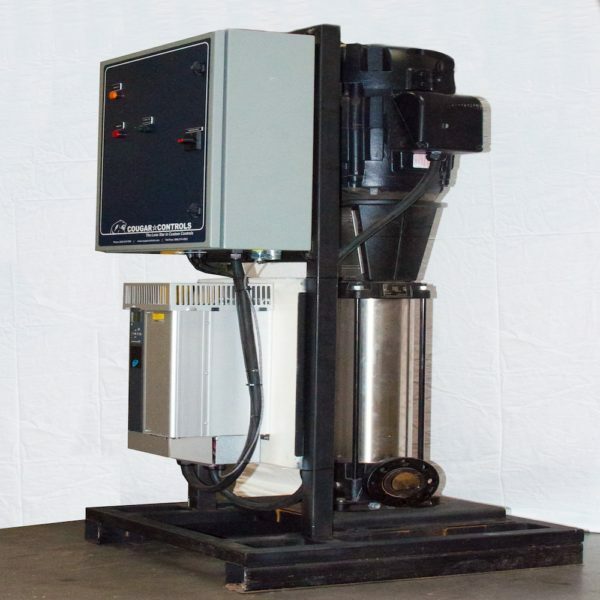 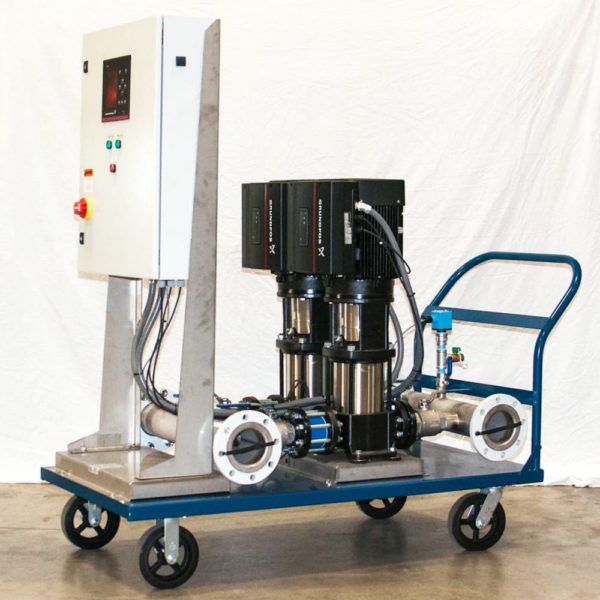 Each skid includes a Grundfos Multistage Pump piped with isolation and check valves, and a Cougar Controls VFD Control Panel with all electrical components wired to the control panel. 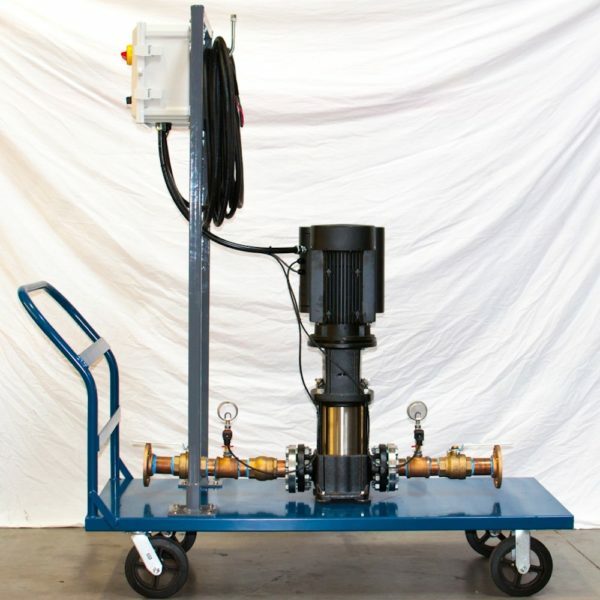 Field installation only requires connecting the included 50Ft SOOW Cable to the building’s power, and water piped to the suction and discharge of the unit. 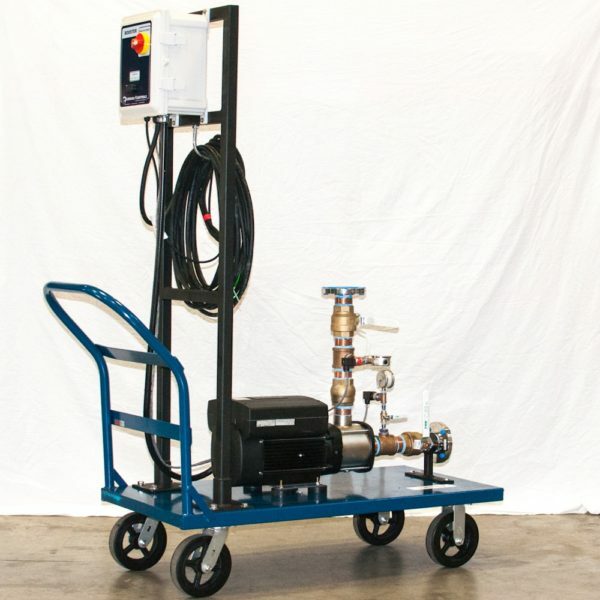 Please browse the fleet below for more detailed information on each skid. 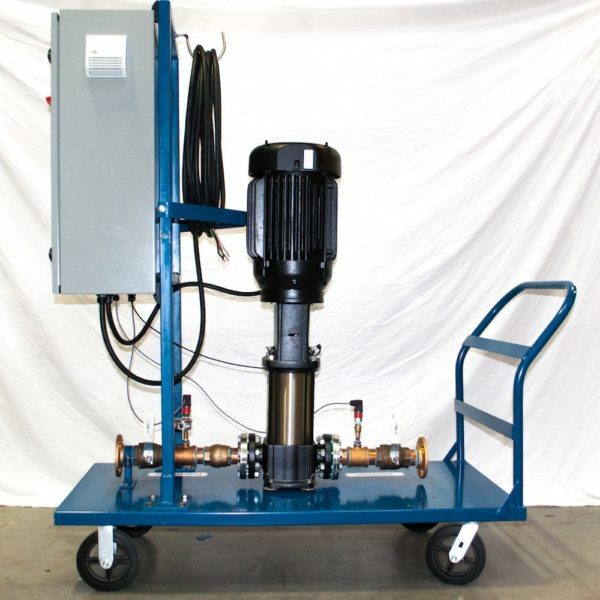 © 2019 Cougar Pump Rentals.